Mary B. Gabris, 93, of Chetek died on Nov 17th, 2018. Mary was born in North Chicago, IL to Maximillian and Anna (Jakubiec) Steplyk. She attended schools in North Chicago and Waukegan, Illinois. Mary volunteered at the St. Dismas Church and the North Chicago VA Hospital through the American Legion Auxiliary. On May 5, 1951 she married Kesti “Don” Gabris. Mary moved to Chetek, WI after the death of her husband in 2009. Mary was preceded in death by her parents, husband Don on May 24, 2009, son Albert on Nov 2, 1974 and by five sisters: Sophie Wrona, Emily Krupa, Irene Steplyk, Genevieve Salinas, Anne Wojtak, and three brothers, Joseph, Max, and an infant brother. She is survived by children Mary (Dale) Klinefelter of Orland Park, IL., Marlene (Doyle) Wedge of Chetek, WI., Patricia (John Kennedy) Gabris of Downers Grove, IL., John (Brooke) Gabris of Gurnee, IL., two great granddaughters, three great grandsons, an adopted sister – Lavera Davis of North Chicago, IL., and many loving relations. 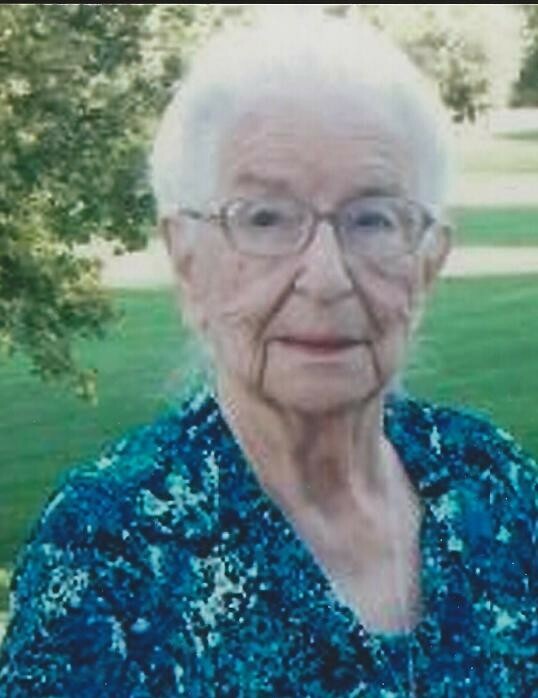 Her prayers and fondest memories were of her friends in Chetek, Waukegan, and Chicago areas. She loved all of you. God bless everyone who touched her life. She now joins her Savior, husband Kesti “Don” Gabris, son Albert, and family and friends. A memorial gathering will be held November 27th, 10 a.m. at St. Boniface church in Chetek. She will be laid to rest at Ascension Cemetery in Libertyville, IL, next to her husband, on December 1st. In lieu of flowers, please make contributions to a charity of your choice. The Burnham-Ours-Kolstad Family Funeral Home has been entrusted with the arrangements.